Got a break in the weather. Middle son and I took turns. Spins on a dime. 52# all up. Perfect. 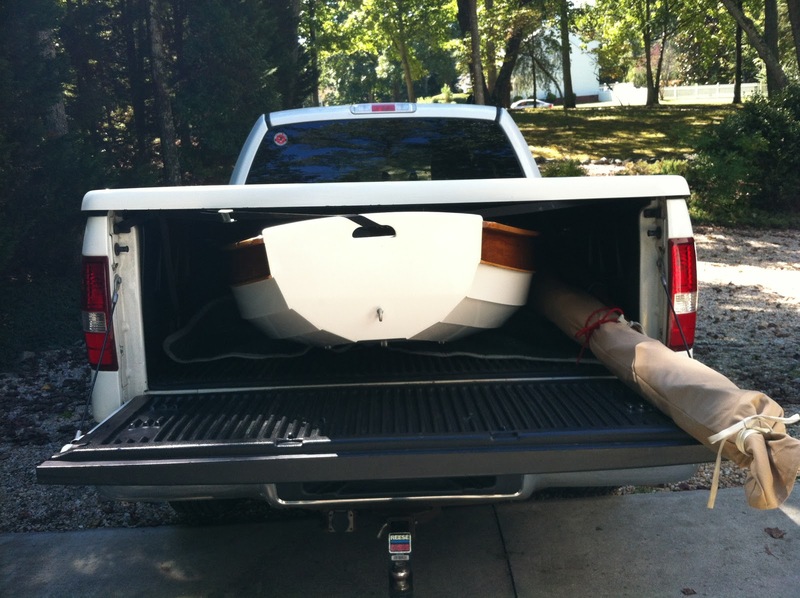 Lugging an old 14′ aluminum skiff to water for a season got old. While the boat proved to be a good “truck” for rowing the 200 yards to LUNA, the wrestling of it back onto a dolly, yanking the kit up an embankment and then dragging it all across 100 yards of lawn was, at times, just enough to dissuade my checking on the Rozinante. A less taxing alternative was needed. The answer was found in the Feather Pram, a 1990 Iain Oughtred design. Iain assured me a finished weight of 40 pounds was attainable using 4mm ply for the shell’s 8 strakes. I promptly ordered plans and then shelved them for months. 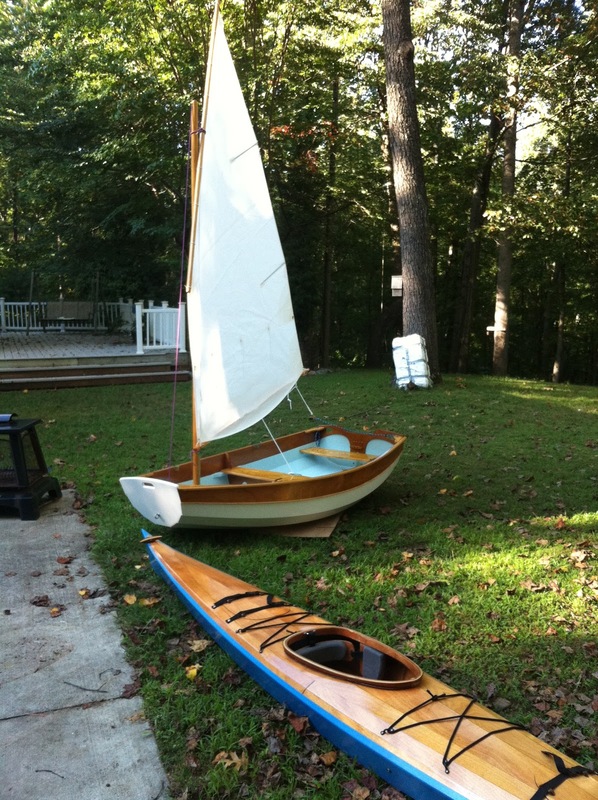 When a fellow Old Bay Club sailor said he was looking for a light dinghy, I suggested the Feather, hoping to test drive his before building mine. He ordered a kit and before we knew it, two other club members did the same. We had a feeding frenzy. One of the guys, we’ll call him “Generous Bob”, aka “Lord Nelson”, allowed me to trace his kit’s planks in exchange for building a shared strong back and mounting of his moulds. I uncluttered the garage enough for the 6′-8″ build and we were off. 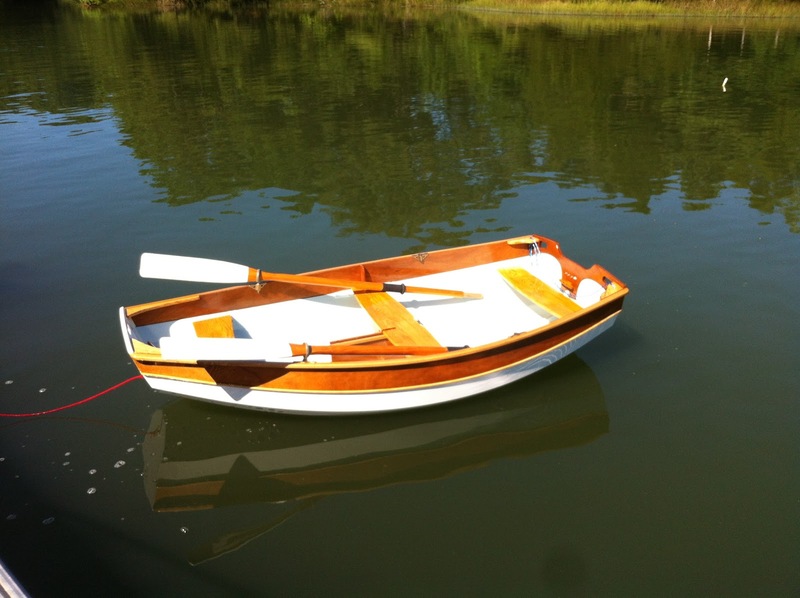 As an aside: Our Eastport Pram has served us well as a tender for our now sold 42′ Emily’s Grace. However, at 7′-9″ and almost 70 pounds the extra 30# is a difference maker when clambering over rip-rap to reach water. If the Feather lives up to its name, such obstacle courses should be completed more easily. Cold weather slowed the epoxy curing. Clamping planks limited the gluing to one pair of planks per day. Screws could have allowed multiple pairs, but 4mm ply doesn’t offer much holding power and filling all those holes would be more work. After two weeks of occasional work we are nearly ready to flip the hull and build interior furniture. My digital fish scale weighed the shell at 27#. That leaves 13# for furniture, finish and hardware. What a catch! Was a beautiful morning on the East River. 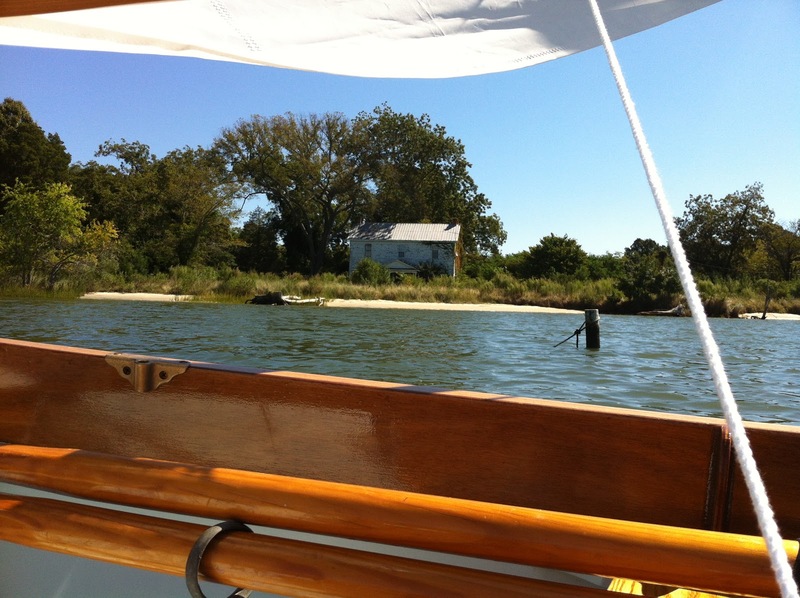 Took Gigi out on her first sail and row. 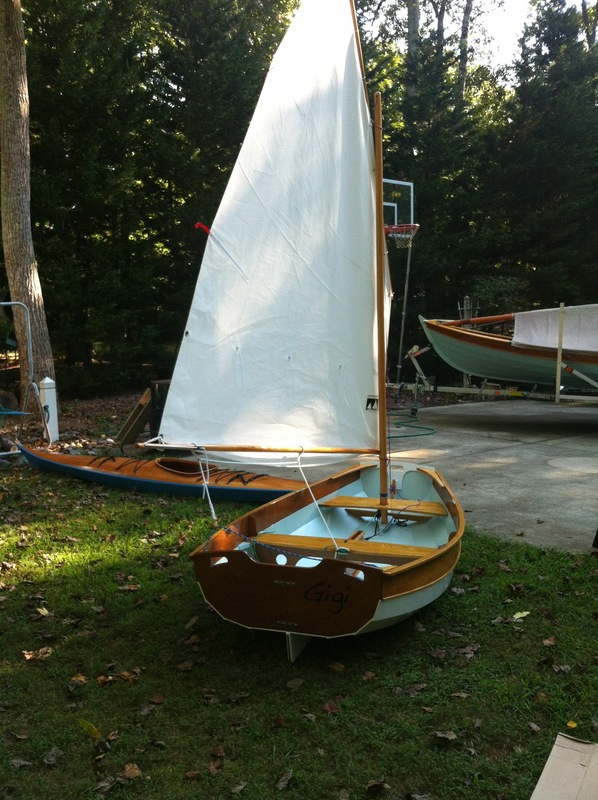 She will make a good tender for Luna and a nice dinghy for others to learn and play in. Here are some backyard pics. And here are some from this morning.